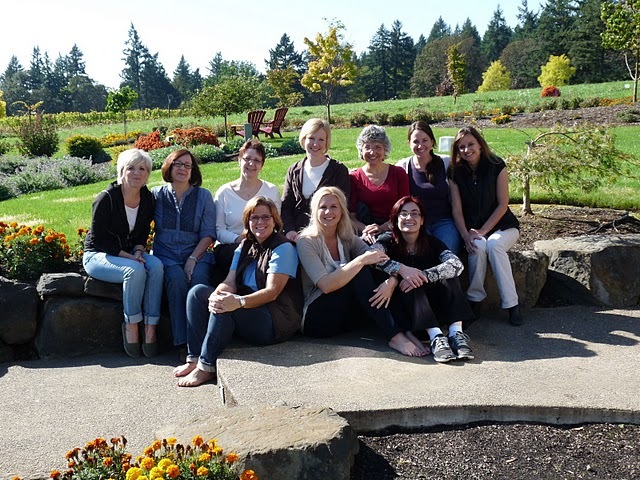 Paula Gamble founded reFresh in April 2008 by launching her first day retreat at the beautiful DreamGiver's Inn. Paula had spent much of her now 28 year missionary career helping to shepherd and care for missionaries all over the globe with Cru (then Campus Crusade for Christ, Intl.) and Imago Christi (a spiritual formation team of Church Resource Ministries). Being both a church planter pastor, as well as a regional director in charge of transitioning many missionaries to and from the mission field, she saw first hand the effects of burn out in minister's lives. reFresh started as a place to invite people to come enjoy some unhurried space to nourish, and yes, reFresh, their weary souls. Our primary hope is to help foster people in the First Commandment (love and be loved by God) so that the overflow of their lives will be an unforced and vibrant rhythm of grace lived in the ordinariness of every day living. We long to see leaders inviting others to the fullness of love that flows out of a life lived in fullness of being loved by God. Since that first day retreat, reFresh has initiated different avenues to provide unhurried spaces in which a person can discover, recover or deepen their intimacy with God. This is primarily done through an offering of retreats (day, silent, and a two year cohort) as well as through individual spiritual direction and various devotional resources (reflective worship CDs, Devotionals and bi-weekly facebook posts to help people unhurry their souls etc). In 2010, reFresh launched it's first Authentic Community in Transformation (ACT) Journey cohort. Eight brave souls launched into a two year deeper spiritual formation journey that consisted of six, 4 day retreats over two years. In between retreats, the participants met monthly with Paula for one-on-one spiritual direction. In 2011 reFresh launched a second ACT Journey, which ran simultaneous with ACT I. In the fall of 2012, as ACT I ended, we launched ACT III. This time, Cathy Cedergreen (an ACT I participant, now "graduated") stepped in to help co-lead the ACT III Journey and ACT IV launched in Nov 2013. We are delighted and humbled by these 30 ACT Journey participants. Each have gained significant formational experiences in deepening their relationship with God, self and others. In 2012, reFresh became a ministry department of Artists in Christian Testimony, Intl. A.C.T. Intl (not to be confused with the ACT Journey) has been around for more than forty years and provides a wonderful environment to foster even more creativity and opportunity for people to be reFreshed in God's love. For more information about A.C.T. Intl, click on the logo to the right. Another historic moment just happened in March 2013 - just shy of our 5th Anniversary! Because of the wonderful streamlined structure of Artists in Christian Testimony, Intl., reFresh "hired" our first staff! Melissa Wright came to reFresh after nearly eight years with Cru - primarily living and working in Western Europe. She spent two years with us, regrounding her feet and soul in who she was. In the spring of 2015, Melissa stepped away from reFresh toward new ministry adventures. We are so grateful for the time she spent with reFresh. As you may be aware, May 2014 reFresh began a brave, corporate year "resting" in some different sabbatical rhythms. We began the 7th year of ministry, and being attentive to the Biblical pattern of a 7th year of letting the land lie fallow, we did not offer our normal ministry offerings. Instead, we trusted God to help us stay reFreshed as we endeavor to lead others to His heart of reFreshment and love - and to see what might grow without our even planting, tending or harvesting. reFresh feels blessed - by all the Lord is doing in and through our lives and this ministry. We are also so very blessed by YOU and your generous support, prayers and participation. Each of us either volunteer or raise our own ministry support in order to pursue this ministry of companioning others towards God's heart of love. If you want more info or feel impressed to donate to our efforts, we'd welcome any generosity. Paula's three favorite verbs are "saunter, linger and frolic." She believes in stopping to smell the daphnes, enjoying a glass of wine to complete the perfect meal, and highly recommends skipping on a playground with a five year old or wandering through an urban forest with a loyal border collie. She has grown immensely over almost a quarter of a century in vocational ministry - investing in the lives of students, missionaries, co-planting a church, serving as a worship pastor, foreign missionary, team building consultant, spiritual coach, mentor and director to numerous people all over the globe. Paula loves helping others attend to God's loving and leading in their lives and creatively utilizes her music, writing and communication skills to foster environments where people can abide more closely with God. Paula cares for souls by helping people identify and integrate the reality of the love of God in the ordinariness of daily living. In the past seven years, hundreds of people have been refreshed and renewed in their relationship with God through various retreats, devotionals and the reflective worship reFresh offers. She is currently developing an "online retreat" to address peoples' longing for "more." Paula has a Masters from Western Seminary and is a certified spiritual director via George Fox Evangelical Seminary's Spiritual Formation and Discipleship program, where she also now serves as a Spiritual Director to M.A. and PsyD students and occasionaly helps out in facilitating DMin students in spiritual leadership. She is a trained supervisor, and is a member of the Evangelical Spiritual Directors Association. Paula is married to Stephen and became an insta-step mom (part-time) to two great kids, Maggie and Thomas. She loves partnering with her husband who is the Director of GraceFall ministries: walking with pastors and artists in distress and inviting them to find beauty in their brokenness. Want to catch more of Paula's heart and ministry: Check out her Lenten devotional on kindle, come "like" our reFresh facebook page, where we offer weekly "tips" on unhurrying your life to connect to God, listen to the mysoulrefresh podcast on iTunes or browse our blog and linger around the offerings at this website!